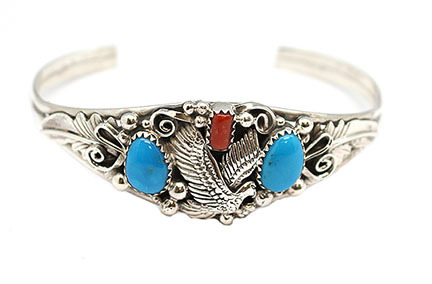 Sterling silver bracelet with leaves, a cast eagle and free form turquoise stones and a free form coral stone. Center measures approximately 7/8" wide and tapers down. 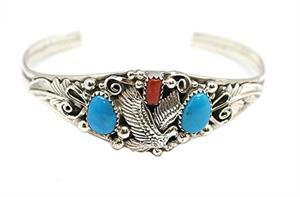 It is Navajo crafted by Rita Montoya. Stones will vary in shape, color and size.